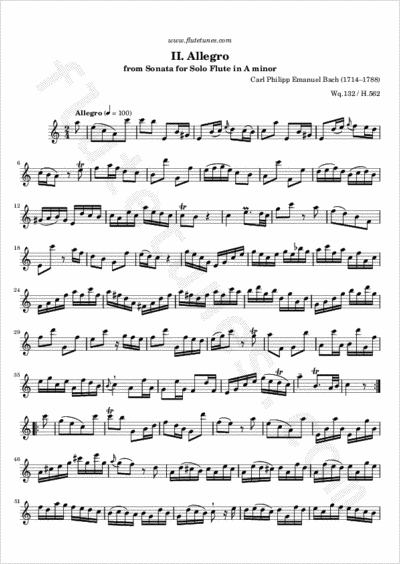 Here is the second movement of Carl Philipp Emanuel Bach's Sonata in A minor for Solo Flute. This binary-form (AABB) Allegro in 2/4 time has the energetic geniality of a movement from one of the composer's father's (i.e. J.S. Bach's) English Suites, with a seasoning of wide leaps and swift modulations.